Dan joined me about lunchtime and we fished into early evening, not to be out-done; his only bite of the day resulted in this new PB 4lb 8oz chub… Bonus! Nice one fellas, good angling.Might have a go for a barbel myself next week. Cheers, with the weather as it is at the moment we are just fishing for that one bite. Good luck next week, I'll be watching your blog. Still don't know the fate of my Mac and more importantly the stuff that's on it... But when I'm fishing I can forget all about it - a barbel helps! 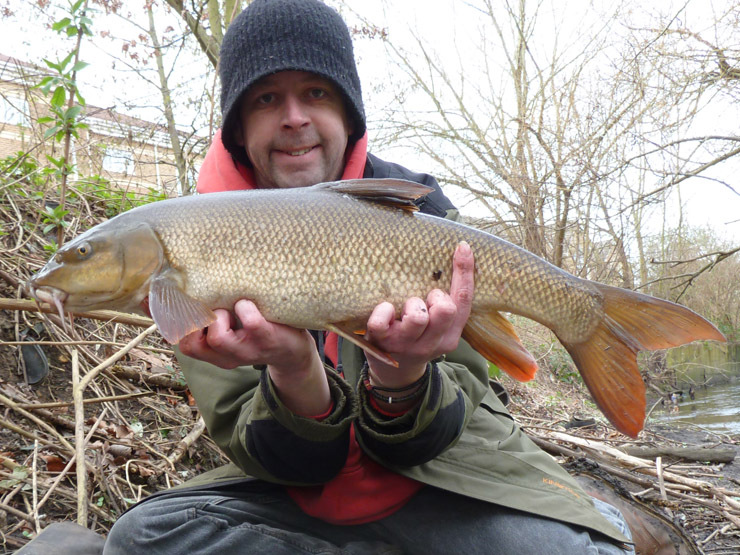 Some good going there Brian and a nice pb chevin for Dan too. 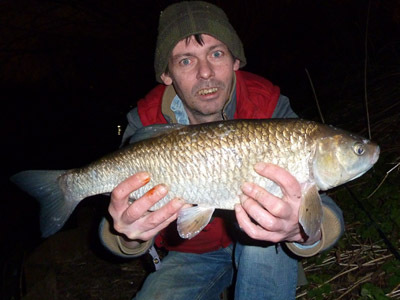 Cheers, first time in ages I've seen Dan happy to (just) land a chub! The barbel challenge now stands at 355lb 12oz and as Bob Roberts put it 'the fat lady is clearing her throat' would be great to add another 45lb to the challenge. And I wouldn't mind a couple more pike. And a zander.